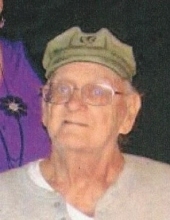 Celebrating the life of John R. Zoltek, Jr.
Obituary for John R. Zoltek, Jr.
John R. Zoltek, Jr. of Poygan, WI (formerly of Cicero, IL) passed away Saturday, March 30 following a courageous six year battle with lung cancer at Eden Brook Nursing Home in Oshkosh, WI. John was born to John and Mary Zoltek on January 9, 1943. A few year later, Mary remarried to Rajica Mitrovic. Rajica was more of a father to John than his own father was and John loved him for that. John went to schools in the Chicago area. After high school he joined the Marines, John was a civil engineer most of his life including working on the Dan Ryan Expressway in Chicago. His hobbies and interests were model railroading and plants/horticulture. He loved growing orchids and gardenias the most, but enjoyed taking care of the plants and flowers in the yard with is sister-in-law, Terry Mitrovic, with whom he made his home the last three years before having to move to Eden Brook Nursing Home under the Hospice Program. He met and married his first love Judy Bratcher. Two children became of this union. John R. Zoltek III (deceased) and Rachel Elizabeth (Jonathan) Smart (Shawnee, OK). He later married Mary Amato. One daughter, Elizabeth (Charles) Ciambrone-Blevins (Dix Hills, NY) was born of this union. John is also survived by six grandchildren, Rachel Anna Smart, David Smart, Christian (Logan) Lindley, Ana Blevins, Danika Blevins and Charlie Blevins. He was the dear brother-in-law of Terry Mitrovic. John was preceded in death by his parents Rajica and Mary Mitrovic, his brother Milan Mitrovic and his son John R. Zoltek, III. The Zoltek/Mitrovic families would like to thank ADRC, Ascension Hospice - especially Amy. Stacy, Val and Kim, and the Eden Brook Nursing Home - especially Jane and Darla. Visitation will be at the Linhart Funeral Home, 6820 West Cermak Road, Berwyn, IL 60402 on Friday, April 5, 2019 from 11 a.m. until the time of service at 12:00 noon. Interment will be at The Queen of Heaven Cemetery, Hillside, IL., where the services will conclude. To send flowers or a remembrance gift to the family of John R. Zoltek, Jr., please visit our Tribute Store. "Email Address" would like to share the life celebration of John R. Zoltek, Jr.. Click on the "link" to go to share a favorite memory or leave a condolence message for the family.